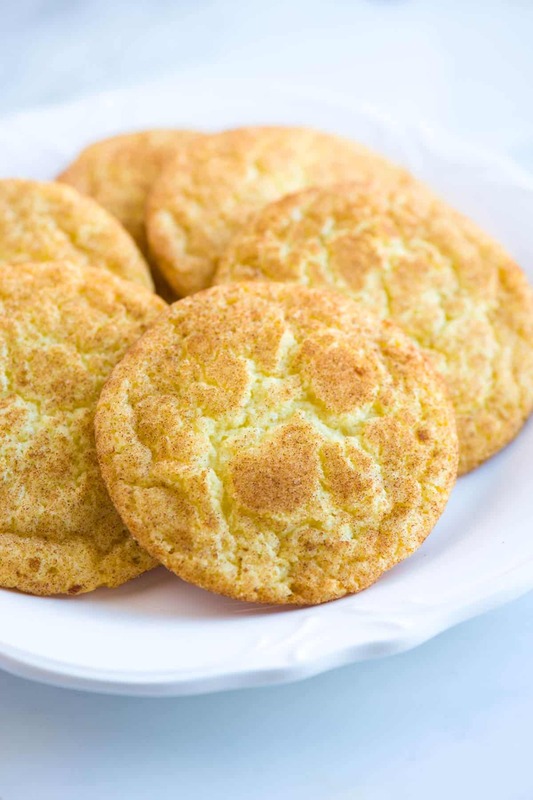 Easy snickerdoodles recipe with crispy edges and soft and chewy centers. 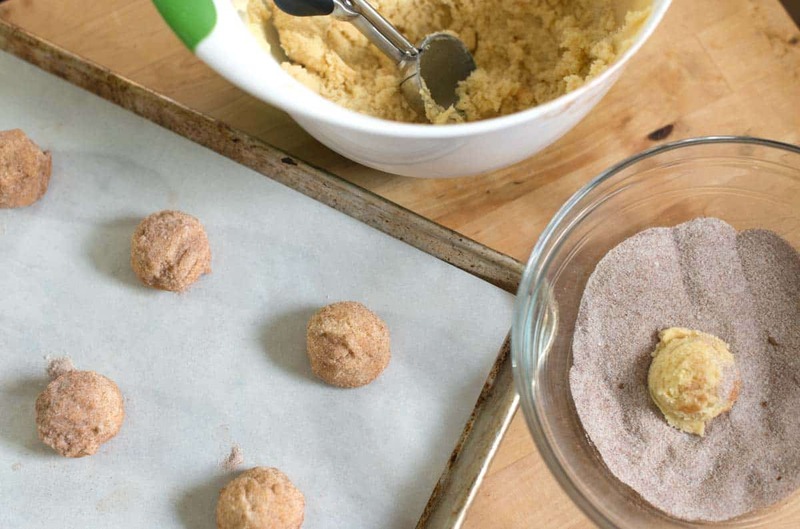 Jump to the full Snickerdoodles Recipe. 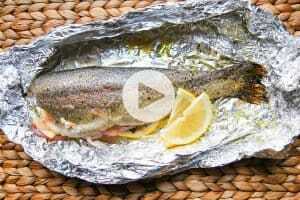 Or, watch our quick, straight-forward recipe video showing you how to make them. 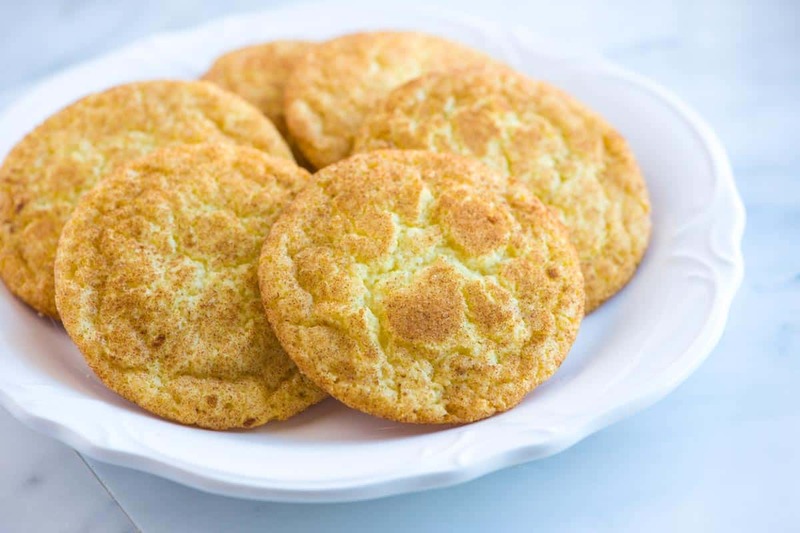 These soft and chewy snickerdoodles are made with butter, a hint of vanilla and our favorite, tangy cream of tartar. Then they are rolled in cinnamon and sugar. These are the best cookies. 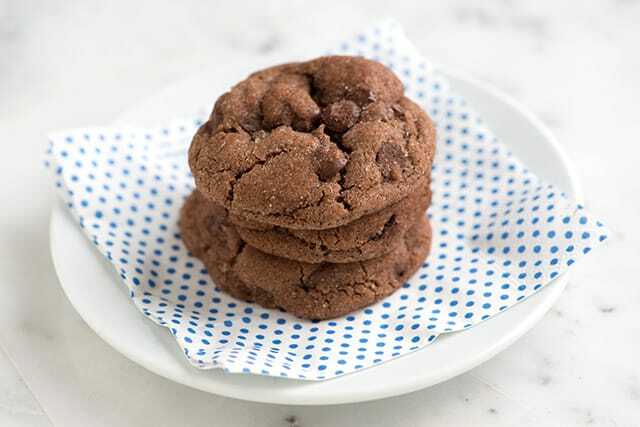 YOU MAY ALSO LIKE: If you love snickerdoodle cookies, then try these chocolate snickerdoodles. Easy chocolate cookies are rolled in cinnamon-sugar. They are one of our favorites. These are easy. The ingredients are simple — flour, butter, sugar, cinnamon, and vanilla. Then the crinkly top is achieved with a combination of baking soda and cream of tartar. We love easy cookie recipes, take a look at these Soft Ginger Cookies with Chocolate Chips — they are delicious and so simple. To make the snickerdoodles, we cream butter and sugar together for a few minutes, add eggs then mix in the flour, baking soda, cream of tartar, and some salt. The dough is chilled for 30 minutes then rolled in cinnamon sugar. Chilling the dough is pretty important. The time in the fridge helps the flour absorb some of the moisture from the eggs and butter, which helps make them more chewy. It also makes rolling the cookies in the cinnamon-sugar go smoothly. We actually chill these chocolate chips cookies overnight. What is Cream of Tartar and Why Does It Need to Be in My Cookies? You might be wondering about the cream of tarter in the recipe. It’s is important, here’s why. Cream of tartar is actually a byproduct of wine making (there’s our random fact of the day for you). More importantly, cream of tartar is often used to stabilize egg whites or cream while whipping them. It is also often added to baked goods to help activate baking soda. The cream of tartar adds tanginess and chew to the cookies — transforming these from butter-sugar cookies to snickerdoodle cookies. For more cookie recipes, check out our Soft and Chewy Oatmeal Raisin Cookies, Easy Chewy Double Chocolate Cookies and our Rich Buttery Shortbread Cookies. Every time we make a batch of these cinnamon sugared cookies we fall in love all over again. Chilling the dough for 30 minutes or so is important, here. It’s a little sticky so the chill helps make rolling the dough into balls and then into the cinnamon sugar easy. Sift or whisk flour, cream of tartar, baking soda and the salt together then set aside. Scrape the sides and bottom of the bowl then add the flour mixture in three parts, just mixing until it disappears. Wrap with plastic wrap and chill dough at least 30 minutes or up to 3 days. Heat your oven to 400 degrees F. Line two baking sheets with parchment paper or use silicon baking mats. Bake the cookies for 8 to 10 minutes, until the cookies have puffed a little and the tops look set. The cookies should be light golden. Cool on baking sheets for 5 minutes then transfer to a cooling rack to cool completely. (The cookies will fall a little as they cool). Baked and cooled cookies will keep, stored in an airtight container at room temperature for 2 to 3 days. You can freeze this cookie dough. Line a baking sheet with parchment paper, scoop and roll individual dough balls and place onto the baking sheet (they can be close together), and then place in the freezer until hard, about 30 minutes. Transfer frozen dough balls to an airtight container or plastic bag. Recipe adapted and inspired by The Back in the Day Bakery Cookbook, Smitten Kitchen and Cooks Illustrated. Oh my golly gosh! This is the recipe I have been searching for! The cookies have the right tang, the crispy edges, and chewy centers. I will be baking lots of these. Thank you for sharing this recipe. Made these tonight BEST COOKIE EVER!! Didn’t have cream of tartar so I took out baking soda and used 2 tsp of baking powder!! They came out so perfectly crispy on outside so soft and chewy on inside!!! Hi Gail, a light butter might affect the texture/taste. We have never tried this in our own kitchen so you might need to do some experimenting yourself. I made these Snickerdoodles today and they are fantastic! I’d never tried them before, but have wanted to make them for a while. Thank you from Australia! 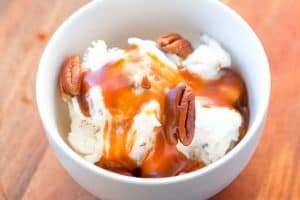 I definitely want to try this recipe out but I was wondering if I reduce the sugar will it effect the consistency in any way? Thanks in advance and I love your recipes! Hi Isabella, Reducing the sugar will affect results. I bet you can get away with reducing slightly, though. Let us know how things turn out. I have made these cookies many times and they come out consistently yummy. My hubby loves them with heath bar crumbles mixed in the dough. I even used a 1/2 tsp of maple syrup when I ran out of vanilla extract I couldn’t even tell the difference they were still awesome! I will be trying these cookies out very soon. And I will let you all know how they came out. Can you test this with margarine and tell me how it goes? I’m on a budget so butter isn’t exactly a choice for me when it comes to baking. I have to use margarine instead. Thank you! Hi Kayla, We don’t have time to test for every possible change, but this is a great question. We’ll add it to our recipe testing list. I’ve made a lot of cookies, but never Snickerdoodles… these were so good. I’ll be making them again and again. Easy and delicious! 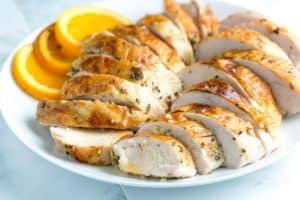 I’m having trouble working out if the oven temperature stated for this recipe is based on a fan-forced or conventional oven? 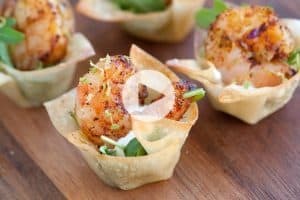 Recipe looks delicious and I’d love to give it a go! Hi Krisrin, All of the oven temperatures on Inspired Taste are based on a conventional oven. Thanks! I have a question! Could you substitute the white granulated sugar for brown sugar? Yes brown sugar can be substituted. The texture of the cookies will be slightly different (softer), but they will still taste great. It was good after I properly mixed it but I at first made the incredibly stupid mistake of not scraping the bottom of the bowl and mixing again. I know, dumb. I made them again and they were amazing. Nice and fatty. It was fantastic!!! The whole batch didn’t last, gobbled all up in less than 6 hrs. Had to hide them from the kids and husband. The taste and texture were better than the one I bought from Panera Bread, really like it. Thank you so much for all of your recipes. I tried a mixture of baking recipes, dinner, and dips, they all very easy to follow and don’t require exotic ingredients. ALL came out very delicious and not blend as other recipes from other site. Looking forward to trying some new ones from you guys. Looking for advice, I want to add Irish Cream liquor to the snicker doodle recipe. What would the the amount of flour to add to the amount of liquor? Hi Sandy, adding the extra liquid and flour might affect the texture of the cookies. With that said, I’d start with a couple tablespoons of the Irish cream and see if the cookie mixture actually needs any additional flour. I made these and they were a bready, crunchy mess. 400 degrees was far too hot! Hmm. Are you sure you didn’t grab the bread flour instead of the all purpose flour? I did that once and that is how the cookies from another recipecame out, just like you described.